Your dental health is our primary concern. To achieve this goal, we emphasize prevention. 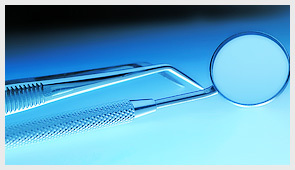 Our offices use only advanced, state-of-the-art equipment as well as the latest treatment techniques. Oral health care should commence in early childhood and should continue throughout the rest of your life. Our educational approach to dentistry helps everyone understand the importance of regular checkups and at-home care to maintain healthy teeth and gums for improved oral health and a beautiful smile. When the need for tooth restoration or replacement arises, ProCare dentists have the advanced capabilities to utilize the most modern techniques to restore smiles with tooth colored fillings, crowns, bridges, onlays and inlays. Recent advances in dentistry now allow for complete replacement of missing teeth. Dental implants have multiple applications to help restore your ideal smile ranging from individual tooth replacement to providing solid permanent anchors for patients with dentures. Please consult one of our highly trained dentists to see what implants can do for you. Interested in brightening your smile? We have the latest – and safest – solutions for whitening your teeth. Veneers, bonding and bleaching are just some of the techniques that we offer to correct minor imperfections of your teeth. For everyday life or before that special occasion, we will help you get ready for your close up. When you are ready to enhance your appearance beyond that beautiful, healthy smile, we also offer Botox Cosmetic provided by a Board Certified Physician. Should you ever require a root canal, you can rest assured in the capable care of your ProCare Endodontists. We provide expert care and direction before, during and after such procedures to assist in your comfort. Entrust ProCare with your total care should oral surgery ever be needed. We provide the latest techniques in surgical procedures, performed by our specialists and general practitioners. We care for your total oral health, including your gums. Healthy gums are essential to a healthy mouth and your total well-being. If your general dentist feels that you need more than a regular cleaning, we have Periodontic specialists available. There is no need to brace yourself for our gentle, effective orthodontic services. Our Orthodontist will guide you and your child each step of the way. A beautiful smile is an investment that can last a lifetime. This service is available for adults as well as children.